The San Francisco Black Film Festival will be opening on June 15th and closing on June 18th. 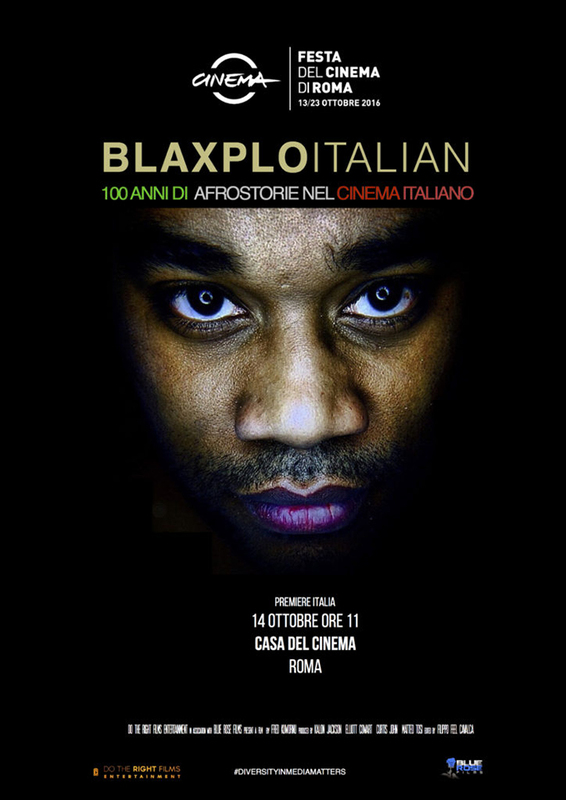 One of the dopest documentaries that will be screening is called “BlaxploItalian: 100 Years of Blackness in Italian Cinema,” which looks at the perception of Black people, born in Italy, in the their national media as well as the cultural currents that it took to get them included in working in cinema and today’s fight against type casting, where Blacks are only given certain characters to play. Check out filmmaker Fred Kuwornu as he talks about his SF Black Film Fest officially selected film, and being a Jewish-Ghanian Italian-born filmmaker. M.O.I. JR: Can you talk about the uniqueness of how you grew up? How did having a Jewish mother and a Ghanaian father in Italy affect you? Fred Kuwornu: I was born and raised in Italy, in Bologna. When I was really young I was not comfortable with the diverse background of my family because I wanted to look like all the other Italian kids and have the same name italian name. This is because our Italian society was not open to be inclusive and diverse and at the time everything was homogeneous. That’s why I consider diversity in media and in the society as the most powerful tool to help and support the growing of kids’ identities, making them more confident with themselves. I did not have specific racist attack but surely the discrimination that I felt when I became adult and when I was seeking my role in the Italian society was stronger than the verbal racism. The life for a Black Italian is really difficult right now. There is a lack of opportunities for those who are of African descent and the access to many professions is difficult. One reason for this is the fact that Italy is a country where it is easier to get a job if you know someone or you are a friend of people who are Italian, so for this reason many immigrants are cut off from opportunities. Being an Italian citizen is not enough if you are Black or Muslim. 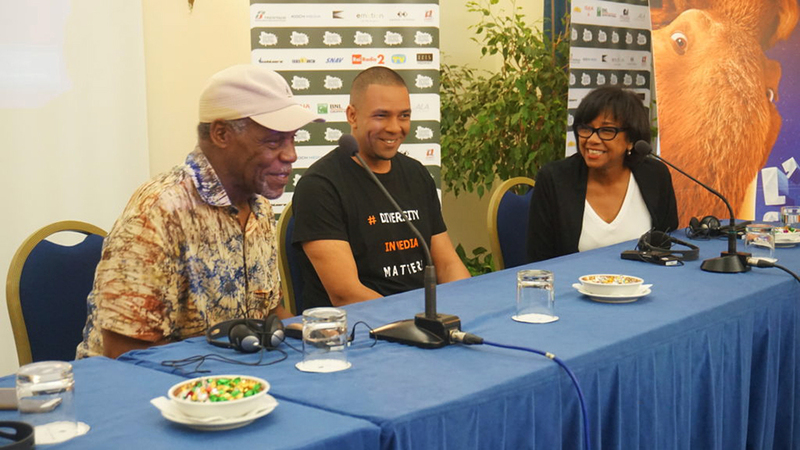 Danny Glover, Fred Kuwornu and Cheryl Boone Isaacs, president of the Academy of Motion Pictures Arts and Sciences (the Oscars), were panelists at the Ischia Global Film and Music Festival last July in Ischia, Italy, on a beautiful volcanic island in the Gulf of Naples. M.O.I. 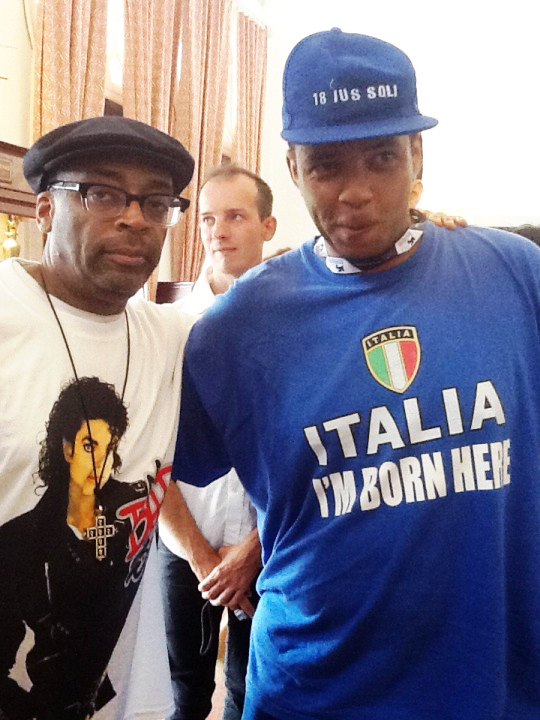 JR: What inspired you to make a film about Black actors and actresses in Italian cinema? Fred Kuwornu: I was inspired by my personal experience in entertainment. Before becoming a TV writer and a director, I worked for a couple of years as an actor, and they offered me the same minor role of undocumented. 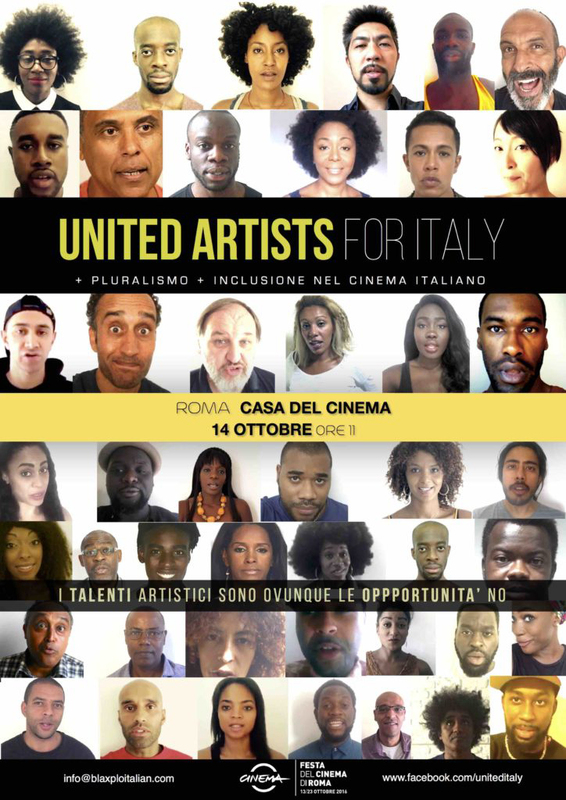 I decide to produce “BlaxploItalian” after I saw an article in the U.K. press about 50 Black British actors, including Idris Elba, who were starting a petition to the BBC to demand more on-screen and off-screen diversity in the U.K. This article inspired me to understand that the situation is worse in Italy, but also bad in the U.S. and in countries like France. People of color are underrepresented or stereotyped when they have been cast for roles. The situation is just as bad off-screen, where women, people with disabilities, people who are from the LGBT community and many other groups in society are not represented in film and the media. When we started, the documentary “#OscarsSoWhite” had not come out, the BBC Diversity Initiative was not present, the new members of the Academy of Hollywood were not nominees as well as there wasn’t any quantity of Black Oscars. So in one sense we are happy to anticipate and enforce the struggle for change, change that is begun in some countries but change that needs to happen also in Italy. M.O.I. JR: Can you talk about the historic relationship between actors and actresses from the U.S. and their Italian counterparts? Fred Kuwornu: Yes. African-American actors worked in a lot in the Italian cinema and they worked a lot also in the ‘70s in many B movie with directors like Enzo Castellari, directors who became an inspiration for many American filmmakers, like Tarantino. M.O.I. JR: Why do you think Blacks from the U.S. and Africa were accepted into Italian cinema before Black Italians? Fred Kuwornu: I think because Italy was coming out from World War II and many African Americans were seen as liberators and cool guys. That’s why it was for them easy to work in many Italian films at the time. Africans were seen as more exotic and have been used in different roles while African-Americans have more chance to be a protagonist. M.O.I. JR: Who were some of the early Black actors and actresses in Italian cinema who made an impression on the history of the art form? Fred Kuwornu: I think some of them were really important but they didn’t have an impact. M.O.I. JR: What message do you hope people walk away from your film with? Fred Kuwornu: Like Idris Elba said, “Diversity in the modern world is more than just skin color – it’s gender, age, disability, sexual orientation, social background and, most important, diversity of thought.” So we want to explain that we are not fighting just to have more Black actors on screen, but we want to give to every unique individual the opportunity to be a part of this global and huge society. And this has happened. For example, some Latinos in U.S. when they watch the film they say they don’t want to be represented just with stereotypes, and some girls with disabilities are starting to dream of becoming actresses, if the media game will chance it. M.O.I. JR: How has working with Spike Lee inspired your work? Fred Kuwornu: We worked for two years. As an indie filmmaker, most of the hours were spent writing proposals to find money to finance the film. We were lucky that many Indiegogo donors supported the project and then other partners like Blue Rose Films came into the project. This film has been shot between Italy, London, New York, Los Angeles with different crews, and it was exciting working with an Italian, British and American crew at the same time. I think more indie productions are becoming global and usually to cut the budget. When we change location, we hire people of the place, because right now it’s easy to find the same camera in different places – keeping the same quality of the image. Spike is a great inspiration for many filmmakers of African descent not only because he taught us how it is relevant to tell pure stories but also how we can market our films. M.O.I. JR: What other festivals have you entered this film into? Fred Kuwornu: The film premiered at Rome Cinema Fest. Then in February we were at PAFF Los Angeles, Charlotte Black Film Festival, Martinique Film Festival. A few days ago we did “New Voices in Black Cinema” at BAM Brooklyn and we will be at Martha’s Vineyard Film Festival and hopefully Locarno in Switzerland. We really hope to have in San Francisco a great conversation. The People’s Minister of Information JR Valrey, journalist, author and filmmaker, can be reached at blockreportradio@gmail.com or on Facebook. And tune in to BlockReportRadio.com. Celebrating Alkebulan: African love, Black joy, resistance and futures! Cartoon HD is the best app I have come across in recent years. It is heartening to note that these apps are free of cost and also give us the best offers without any cost. The idea of the basilica – that was originally accustomed to explain an open community court building as well as evolved in order to imply the Catholic pilgrimage website — was created in Italy. The word, according to the Oxford Book, comes from Latina and meant regal structure http://www.italymagazine.com/featured-story/movin… -.